Channel Victorian-inspired style with this delicately detailed silk blouse. Channel Victorian-inspired style with this delicately detailed silk blouse. Ruffles flutter at its high neckline and down the sleeves and bodice, intersecting embroidered florals. 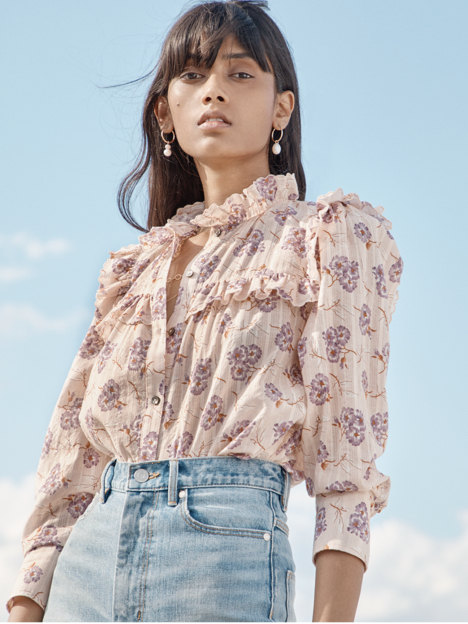 Romantic and feminine, this top adds luxe character to trousers and denim.